94-year old lighting manufacturer Bowens has entered into liquidation, it was announced last month. The news comes just one year after the UK-based brand were taken over by European investment firm, Aurelius, who are said to be behind the decision. Bowens cite the rise of “less expensive products by Chinese manufacturers” and “product innovations by competitors”, alongside “the changed buying behaviour of professional photographers” as reasons for the company’s closure. This is not the first time recently Bowens have been under the spotlight. The brand’s livelihood was the subject of online speculation last year after they unexpectedly pulled out of The Photography Show. Although any concerns were quickly dispelled as Bowens, blaming the prematurity of their “game-changing” Generation X programme for their withdrawal, publicly set out initiatives to “completely re-imagine” the brand, with Aurelius at the helm. However it is the crude handling of the process that is said to have shocked employees the most. A report on Petapixel details how workers in both the UK and China were allegedly informed they would not be paid for their penultimate month’s work with Bowens, and would be unpaid throughout the work they were nonetheless contractually obliged to complete. This treatment is at odds with the “family” atmosphere Bowens staff describe their workplace as once having. Former staff in the UK are now said to be exploring the possibility of taking legal action against the company. 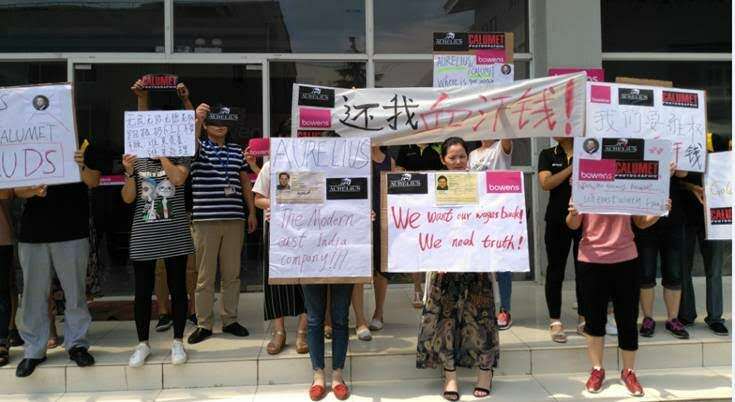 Meanwhile ex-employees in China have been staging public protests, and have sent a letter to Bowens and Calumet Photo (who were acquired at the same time by Aurelius) distributors in order to express their fury. The employees describe how they were “suddenly abandoned by Bowens… and its shareholders (Aurelius)”, with “no July wages, no social insurance [and] no updated information since Germany let us stop work 17th July”. “The UK Bowens company has paid all due salaries for July. The allegations been raised about this matter are simply wrong. Bowens’ abrupt closure is not the “dishonest betrayal” described by ex-members of staff, but rather “the result of far reaching changes affecting its market”, said Calumet and Aurelius. Meanwhile the liquidation process in China is claimed to have been handled “according to all local laws and requirements”.